A fellow missionary had said, “When you get to China, all the scum of your nature will rise to the top.” It surely had, mused Belle. The food, the fleas, the filth, the exhausting mountain paths, and so many other transitions to missionary life had tested her. But Belle had stayed at her post, and she was so glad that she had. 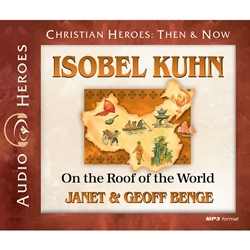 As a fourteen-year-old intent on living a “modern” life, the last thing Isobel Kuhn wanted to grow up to be was a missionary. But as it turned out, this young agnostic’s life was redirected—from crisis and doubt to hope and strength.